Airtel’s 4G Hotspot and 4G Dongle, both are now available at Rs 999 as opposed to their previous price of Rs 1,950. The discounted 4G Hotspot is only available for Airtel postpaid customers. 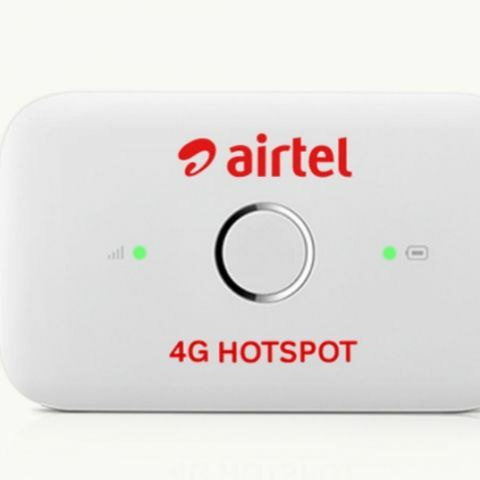 Airtel is offering its 4G Hotspot device and 4G Dongle at a 50 percent discount. The telco, on its website, has listed the 4G Hotspot at a price of Rs 999 as opposed to its previous price of Rs 1,950. The company is also offering its 4G Dongle at Rs 999 which was also earlier priced at Rs 1,950. There are some terms and conditions which a user should know before buying the Airtel 4G Hotspot. The offer is valid only for Airtel postpaid customers and they have to make a Rs 501 advance payment, which would be discounted on the user’s first or second bill. This discount offer is only applicable when buying the device with a recharge plan priced Rs 499 and above. There are no such conditions on Airtel’s 4G Dongle. As the name suggests, Airtel’s 4G Hotspot creates a Wi-Fi hotspot to which 10 devices can connect simultaneously. The company says it can last up to 6 hours on a single charge. It also has 3G and 2G connectivity options. This move by Airtel comes after Reliance Jio, earlier in September, announced a 50 percent discount on its JioFi device. The JioFi device is priced at Rs 999 instead of its launch price of Rs 1,999. Although it was a limited time offer only for Jio Prime subscribers, the telco is still listing the device with the discount on its website. JioFi allows any 2G or 3G smartphone with Wi-Fi to access Jio’s 4G LTE network and make VoLTE calls. The telco says that 32 devices can be connected to the device. JioFi advertises download and upload speeds of up to 150Mbps and 50Mbps respectively. The portable hotspot is backed by a 2300mah battery which the company claims can last for up to six hours on a single charge.